The memorial is comprised of a rectangular bronze plaque attached to a large granite bolder. A concrete base has been poured around the bolder. 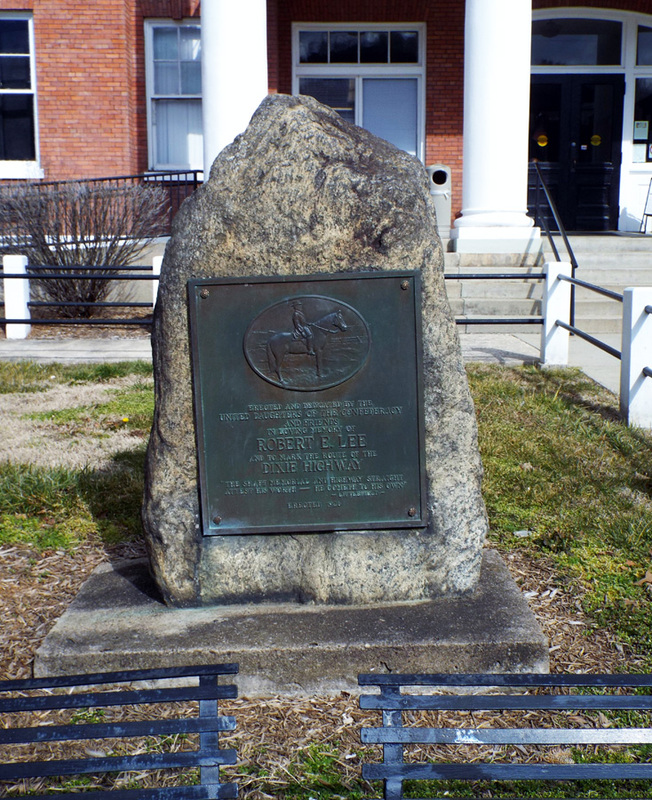 In relief inside an oval that encompasses one third of the plaque is a representation of General Robert E. Lee astride his horse Traveler. The inscription, also in relief, appears below the oval. 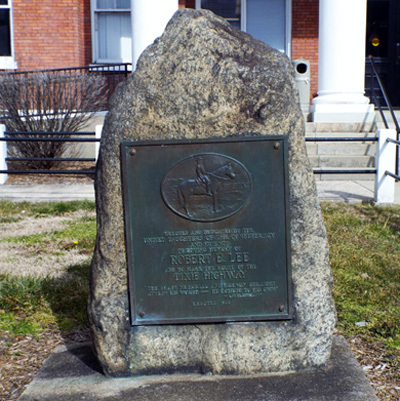 The marker is located on the front lawn of the Madison County Courthouse at 2 North Main Street, Marshall, NC. It stands near the sidewalk to the left of the front entrance to courthouse. A few feet away is a memorial to Colonel Edward F. Rector of World War II “Flying Tiger” fame. Further to the left and closer to the building are two markers mounted on metal poles much like road signs. 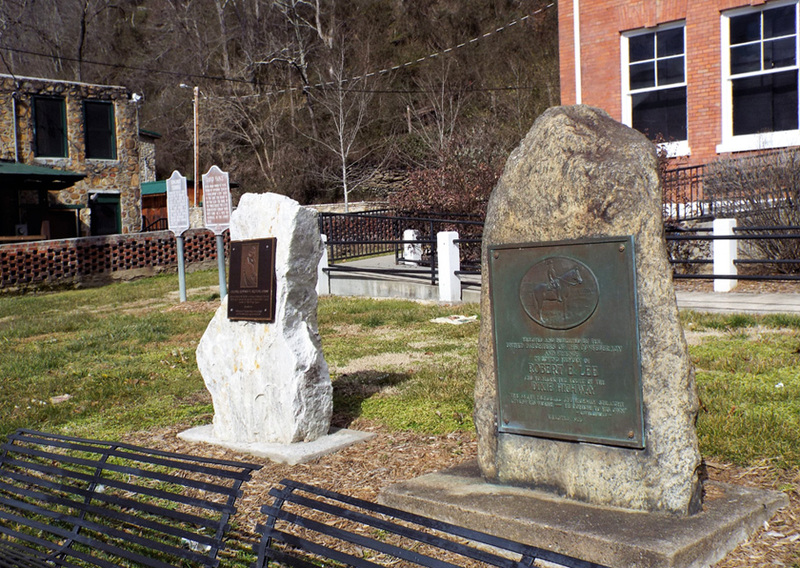 They commemorate the Buncombe Turnpike and David Vance (father of Zebulon Vance). The memorial stands on the grass of the front lawn.